Stone has been studying martial arts since the 1980s, beginning with various boxing and kick boxing methods. He transitioned to the internal styles under Sigung Richard Clear in the late 1990s. Since then, Stone has studied with Sigung Clear in the arts of Kuntao Silat, Xing Yi Chaun, and Yang Tai Chi Chuan. Most recently Stone has completed his (Level 1) internal push hands instructor certification. We are currently looking for qualified training partners for our group to continue our study and development in Sigung Clear’s curriculum. If you are interested in training and/or learning with us, contact Stone and set up a time. Warriors Eskrima – Amara, Single and Double Stick Sombrada, 12 angles of attack, knife angles of attack, knife defense, Palasut Drills, Slap Drills against knife, etc. We recommend the Clear’s Tai Chi Online curriculum for all of our students and partners. You can get a FREE preview for $5 (14 days) and then access the complete course material (Tai Chi and Silat) for $47 per month. Talk to us if you have any questions! Professionally, president and founder Stone Reuning oversees the day-to-day operations of SEO Advantage, Inc®. It’s his vision of excellence and unrelenting focus that guides every client project, imparting a dedication to results that would be impossible at any other search engine optimization firm. He masterminded the holistic approach that has taken the company’s work to the forefront of the SEO industry, achieving results for even the most challenging, competitive industries online. Stone maintains a close relationship with all his SEO accounts, big or small, and his expertise plays a strong role in formulating strategy and assembling the multidisciplinary teams that ensure each client’s custom search marketing program meets its goals. 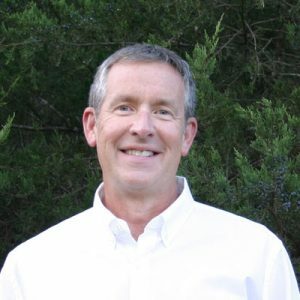 Stone holds a bachelor of science degree in Premedicine and Psychology from Davidson College, and completed four years of medical school at Bowman Gray School of Medicine.